Danny and I were thinking about how we should cook something other than just BBQ this past weekend. We couldn't part totally without that grilled flavor so we decided to grill some lobster tails paired with homemade red curry. Red curry is not something that we usually eat so when we set out to make our own we made sure to buy some canned pastes at the store to get an idea of the flavors. Luckily we have a great Asian market around us and found mostly all of the ingredients that are in an authentic red curry sauce. It was spicy but the coconut rice we made to go along with it really cooled the dish off. You gotta try this dish! Thai chilies were used in the curry paste. It is VERY spicy but has a really great flavor. This went really well with the buttery lobster. 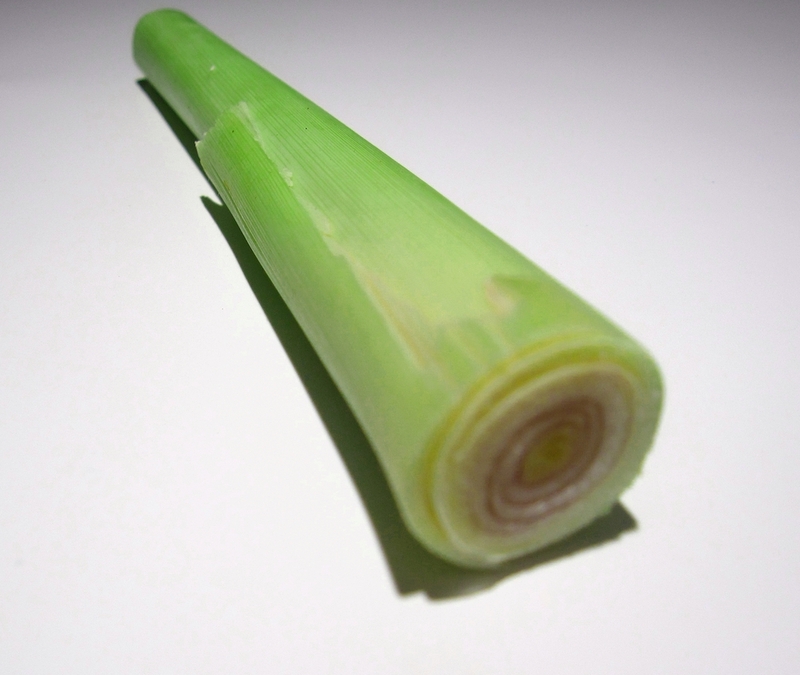 When using lemongrass cut the stems off and use only these. This is one of the first times we have cooked with lemongrass we found out quickly how amazing it smells. We actually used galangal by accident once when we picked up what looks like ginger at our Asian market. Galangal has a more peppery flavor than ginger does. This ingredient is authentic to Asian cuisine. Traditional red curries usually include brown sugar. We decided to use tamarind instead to give a fruity sweetness while staying honest to Southeast Asian ingredients. If you break the shell the pods inside are covered in a sweet/sour pulp reminiscent of apricot. Mix all of the curry ingredients together in a mortar and pestal. This got a little tough to breakdown everything so we put it in a blender. After everything was mixed together we added coconut milk to the paste to make a sauce. We decided to just use tails for this dish because it would be easier to cook them on the grill. When we put the coals on the grill we also put the sugar cane on. It took a little while for this to produce smoke but when it did it smelled sweet and gave the lobster great flavor. We chopped the tails in half and placed them on the grill meat side down. See how it's done below! While these were cooking on the grill we buttered up a baguette and smeared some fresh minced garlic all over it. Put this face down on the grill while cooking the lobster. This bread will come in handy when you have some left over sauce! While the lobsters are cooking saute peppers, carrots, and corn or whatever veggies you would like to include in your dish. Once they are soft heat up the red curry sauce in the veggies. Also prepare some white rice cooked in coconut milk. Once the lobsters are done cooking (10 minutes) add the tails to the veggies and sauce. Cook this for about a minute, just enough for the lobster to absorb the curry sauce. Put the rice on the bottom of the bowl and spoon over the lobster mixture. Top with some fresh Thai basil (we are growing Thai basil in our garden). Enjoy!! And don't forget to let us know if you try one of our recipes.